The City of Lake Forest approved a comprehensive Forest Park Master Plan prepared by Stephen Stimson Associates with the goal to restore, enhance and preserve the City’s preeminent park. Founded in 1856 by the City’s Original Planner Almerin Hotchkiss “as a natural resource for passive enjoyment”, Forest Park was created as the City of Lake Forest’s first conserved open space. In 1896 the City hired O.C. Simonds to develop a plan for the park. The Master Plan serves as a guide to future decisions about Forest Park, honoring the legacy of Hotchkiss and Simonds and their influence upon the park, while acknowledging a century of change and the need to rehabilitate the park to meet today’s passive recreation needs. 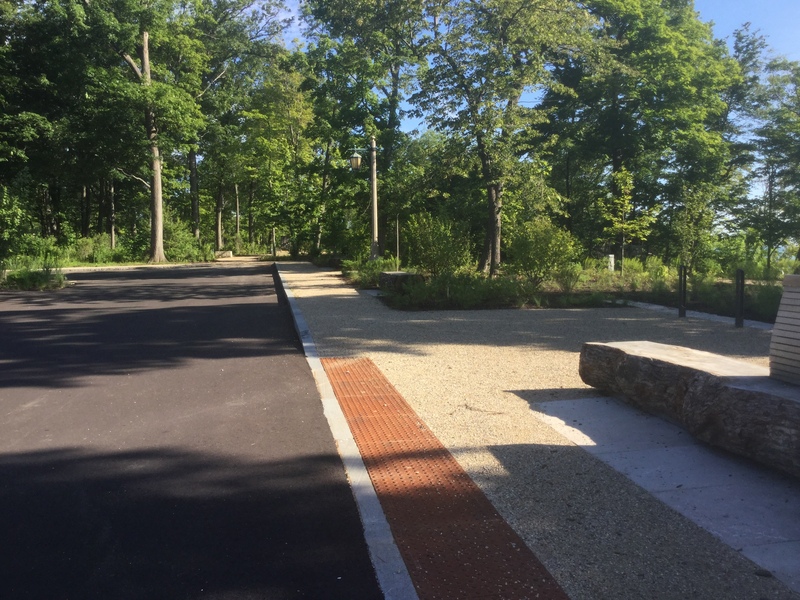 Bleck Engineering prepared construction documents for this 37 acre park to meet the Vision and Goals identified in the Master Plan. Construction commenced in 2013 and the park was reopened to the public in 2014. 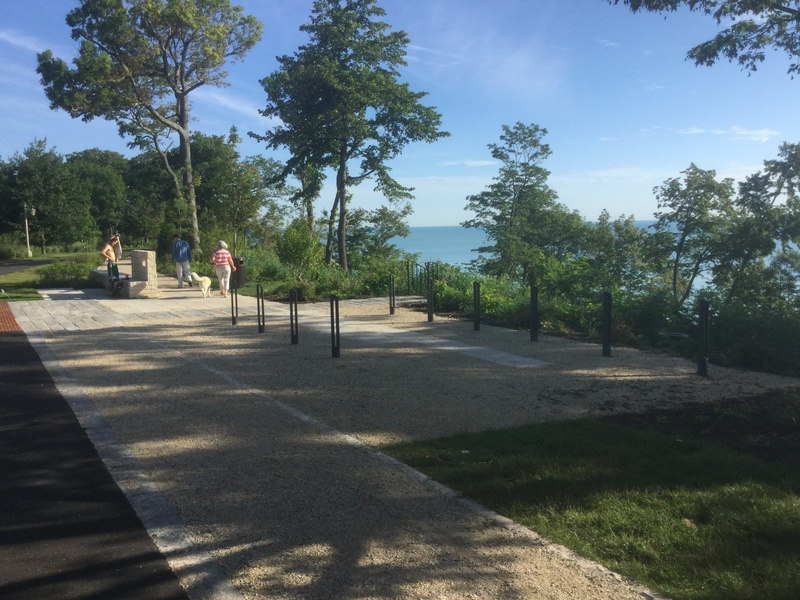 Environmental stewardship was at the center of the design as the area is directly tributary to our most valuable resource, Lake Michigan. The reduction of impervious area and the enhancement of the stormwater treatment train and the restoration of native areas. 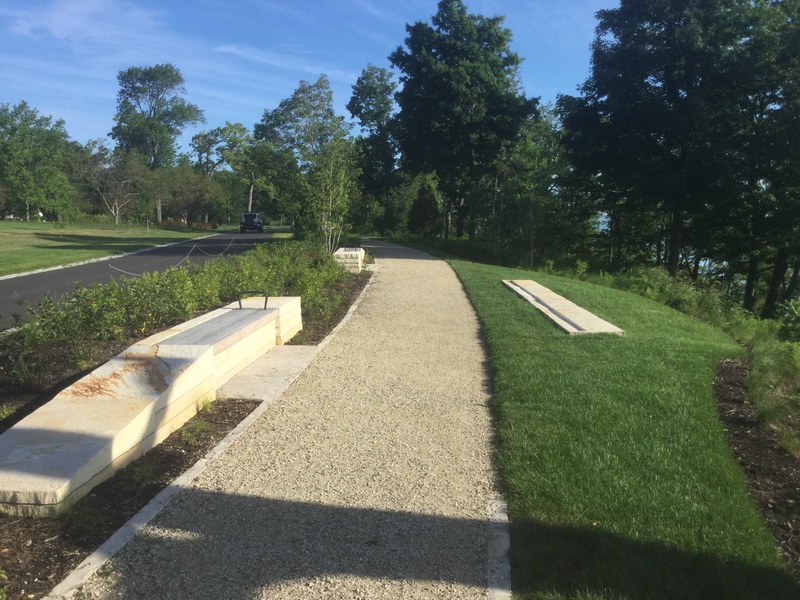 The realignement of walking paths and the roadway offers new vistas from the tableland out to Lake Michigan.